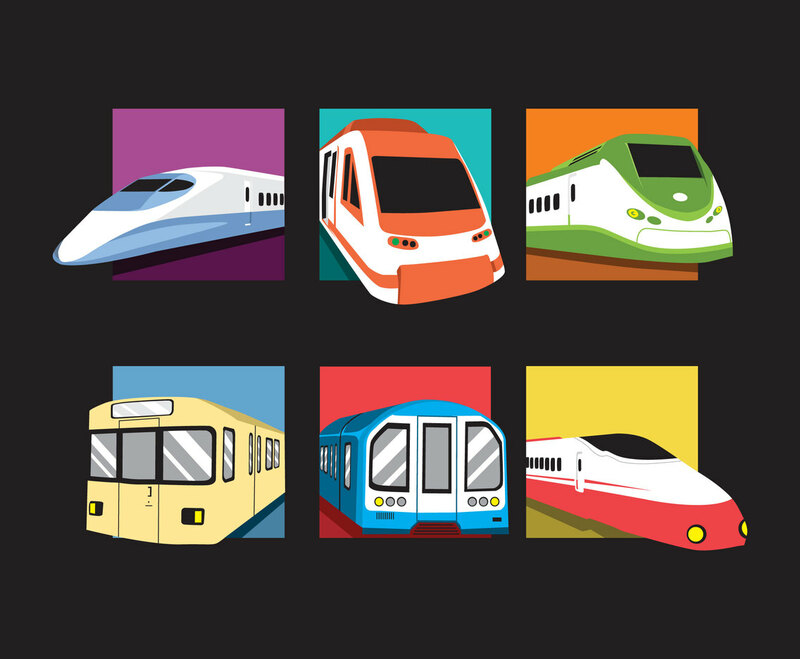 Here is a set of train vector illustration that only display the locomotive part. There are several locomotive types and models you could choose for your design. Bookmark it for future usage, as maybe you will need it to design anything related to tourism or travel.